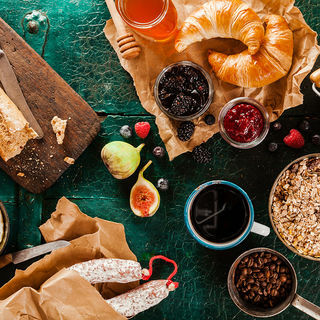 Many airlines are aware of their responsibilities when it comes to sustainable development and they are endeavouring to set an example within the air transport industry. 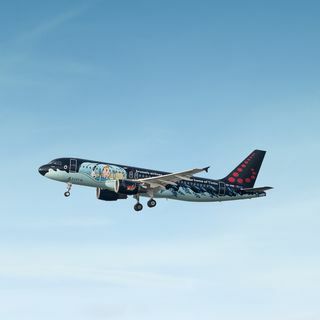 Under the "b.green" banner, Brussels Airlines is looking for ways to reduce its ecological footprint (smaller regional planes to save on CO2 emissions, reducing the weight of aircraft, the possibility of offsetting CO2 emissions) and encouraging its employees, customers and suppliers to do the same. 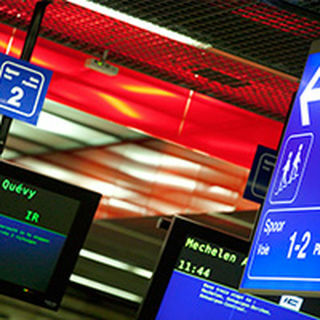 The train runs four times an hour to and from Brussels Nord, Brussels Central and Brussels Midi stations. 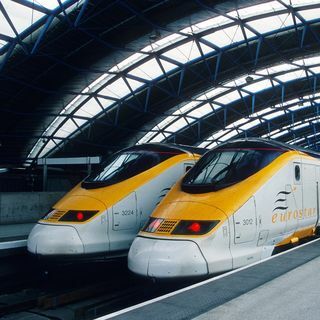 Brussels is at the core of a high-speed railway hub: Thalys, Eurostar and ICE trains take you directly to the centre of cities, with no detours, no wasting time. 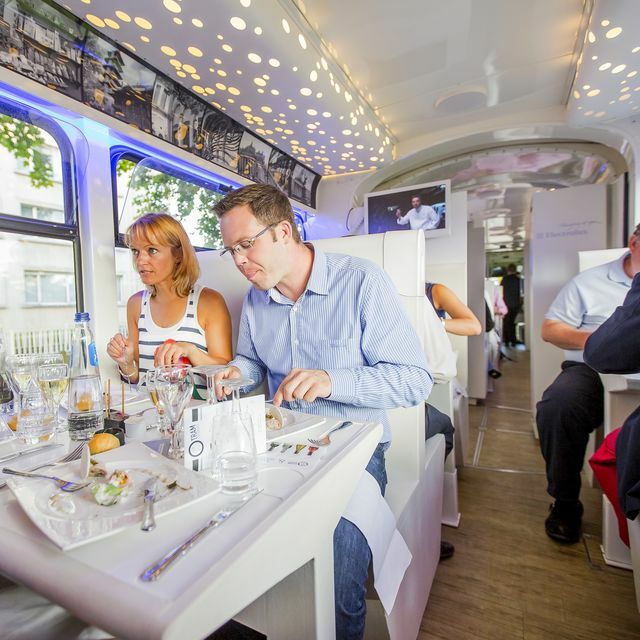 Fast, safe, incomparably comfortable, equipped with modern technology (Internet access), rail is indisputably the best way to travel in Europe. 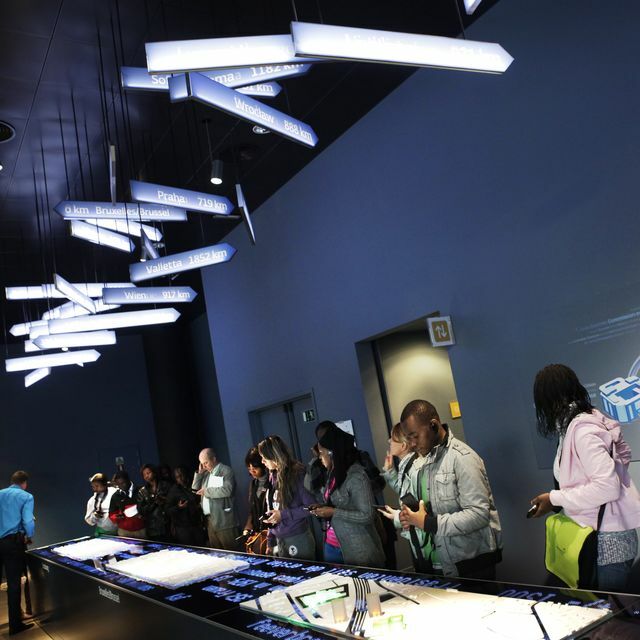 It is also making itself more sustainable. 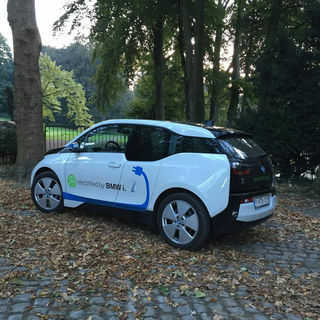 Electric Zen Cars can be hired for an hour or more with a season ticket. Electricity supply terminals will be freely available for recharging any electric vehicle using an identity card system. All municipalities in Brussels now have several Cambio stations. 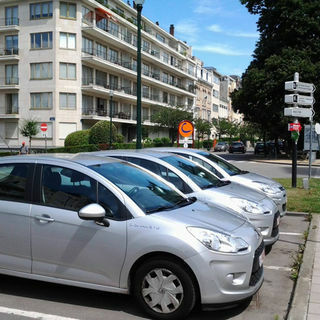 This scheme was established in Brussels in 2004, and allows you to rent a car occasionally at a very attractive price. The Cambio stations have already enabled 3600 private cars to be replaced between 2004 and 2010. Taxistop also offers carpooling for commuting between home and school. The Collecto taxi sharing scheme at night is available at 200 starting points at STIB public transport stops. Available every night between 23.00 and 06.00, it allows several travellers to make a journey at modest cost. 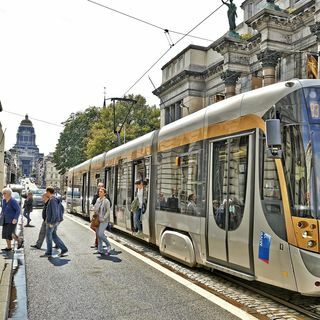 On the trains of SNCB Belgian National Railways that connect the most remote localities in record time and the vehicles of Brussels public transport operator STIB (Metro, tram, bus) which link all parts of Brussels' 19 local authority areas, getting around the city is a breeze. To guarantee a stay without traffic jams and without hassle finding a parking space. 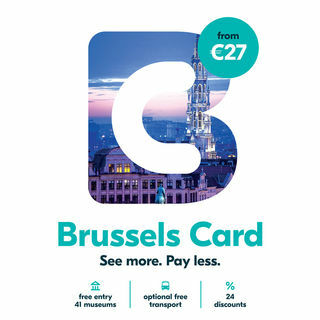 The Brussels Card gives you the freedom of the city! 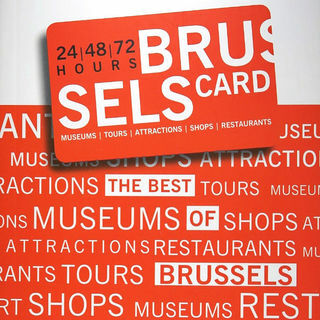 This card, valid for 24, 48 or 72 hours, gives you unrestricted access to the entire public transport network in Brussels, as well as admission to over 30 of the capital's major museums. 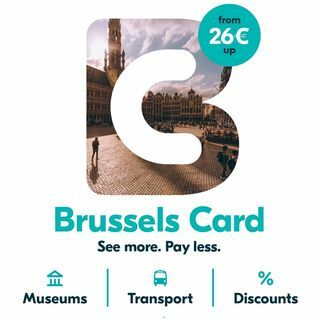 Another advantage: the Brussels Card, and the associated guide, is a genuine discount card for use in restaurants and bars and in some of the shops and fashion designers' boutiques in the Dansaert area (up to 25% reduction). Cycle routes are continually being improved and make it possible to get around easily and safely. The city also now has 350 Villo Stations! 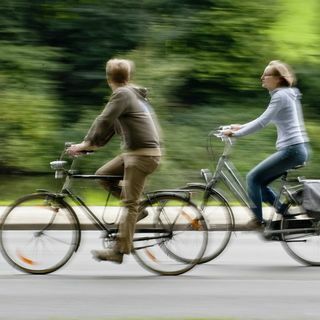 of shared bicycles, that is one station every 450 metres on average, and 4 Bicycle Points located near Brussels' main railway stations (Bruxelles-Central, Bruxelles-Midi, Bruxelles-Nord and Bruxelles-Luxembourg), managed by the social economy enterprise CyCLO. 70km of cycle paths with very few gradients alongside railway tracks have already been created and made safe. Many one-way streets are restricted to cyclists. 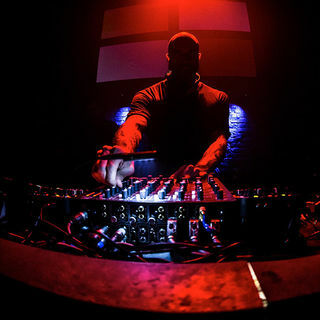 With Villo, the first half hour is free. 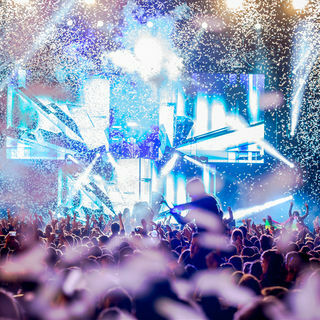 For short stays, there are mini season tickets of 1 or 7 days. It is possible to check availability of bikes via the websites www.villo.be (accessible by mobile phone) www.bruxelles.be or via an iPhone App (All Bikes Now).